I've been spending time polishing up this here portfolio and trying out our swaggy new features. 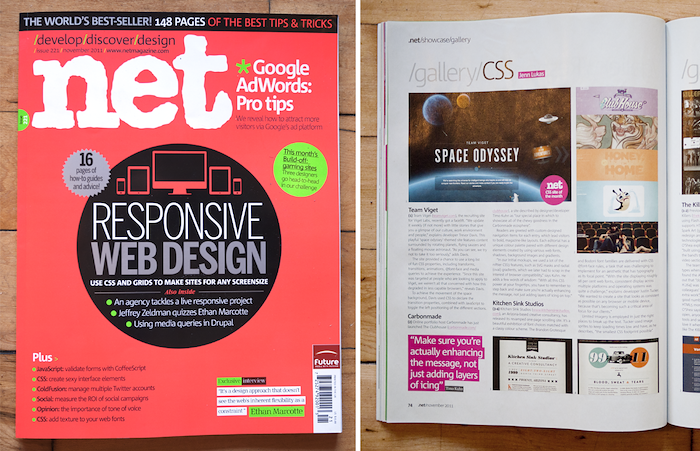 In digging through various archives, I found this great write-up we got from .net magazine in November 2011. The Carbonmade Clubhouse is no longer online but it's nice to have a reminder of one of my favourite projects. I especially love that they used a pull quote from our designer Timo. He's the greatest!